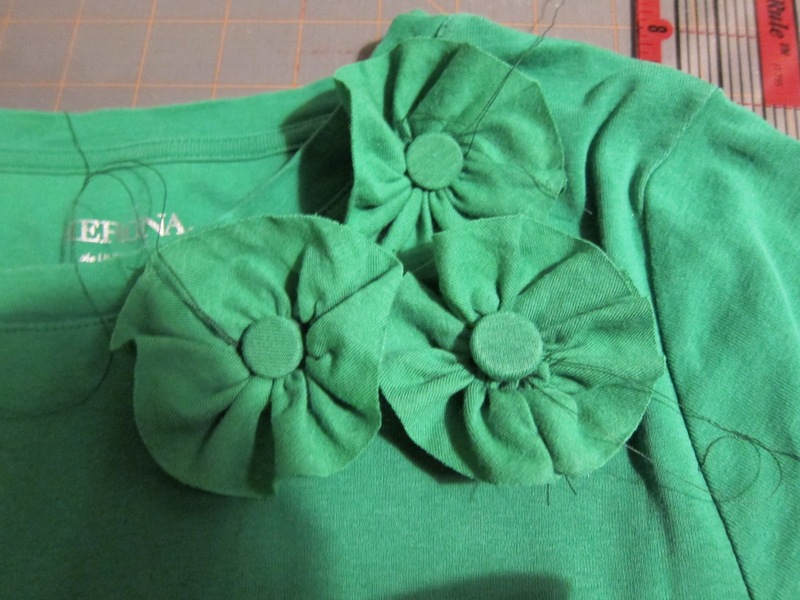 For this embellished shirt, I gathered strips of fabric from another t-shirt of the same color (thrift store find), made flowers from the gathered strips, attached them to a very comfy, high-necked shirt that I have, and then sewed fabric-covered buttons on top of each flower. 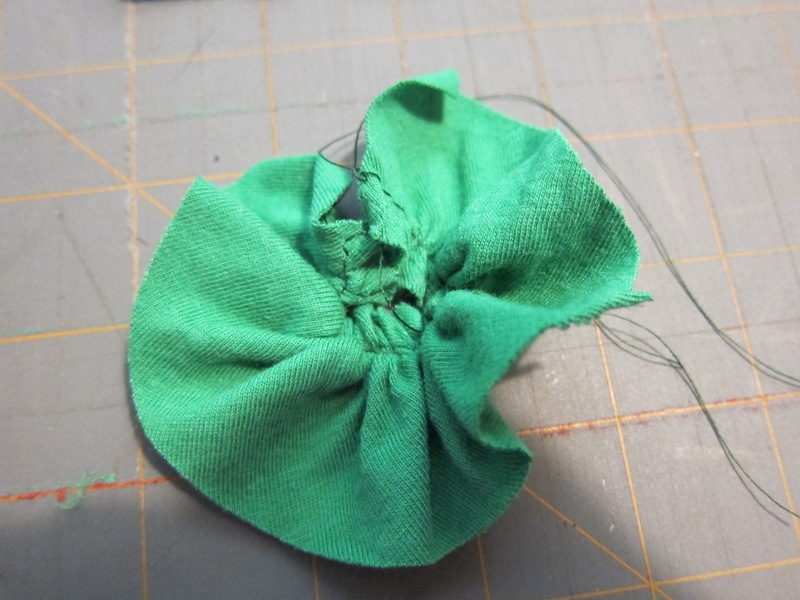 Pull the gathers tight and form a flower. 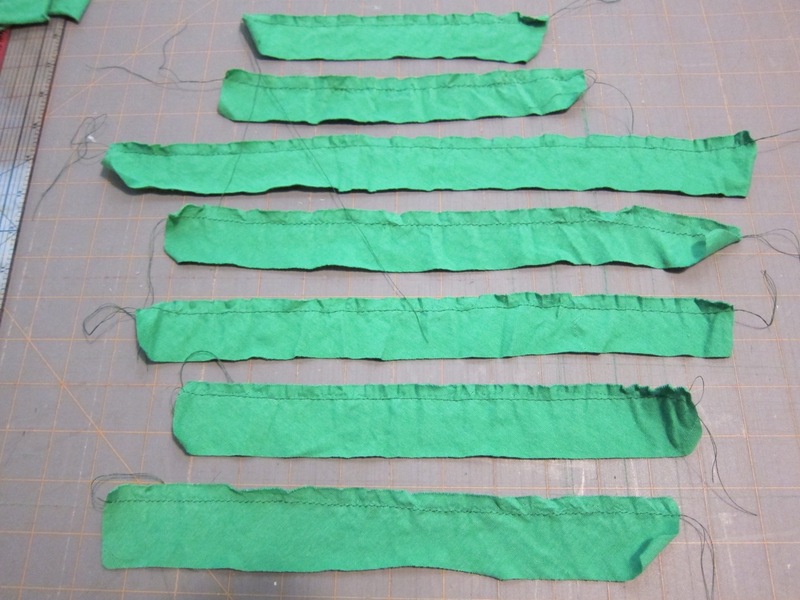 Pin the ends right sides together and then sew. 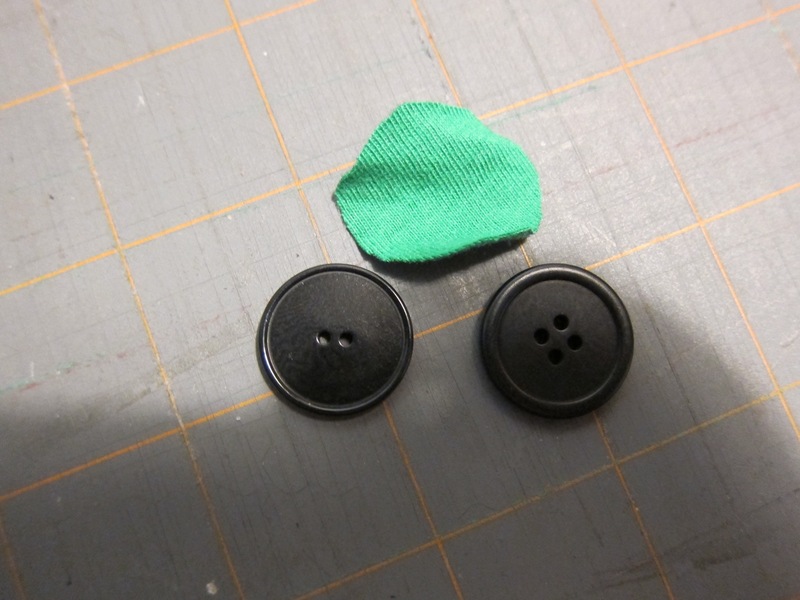 Cut out a piece of fabric larger than the button. 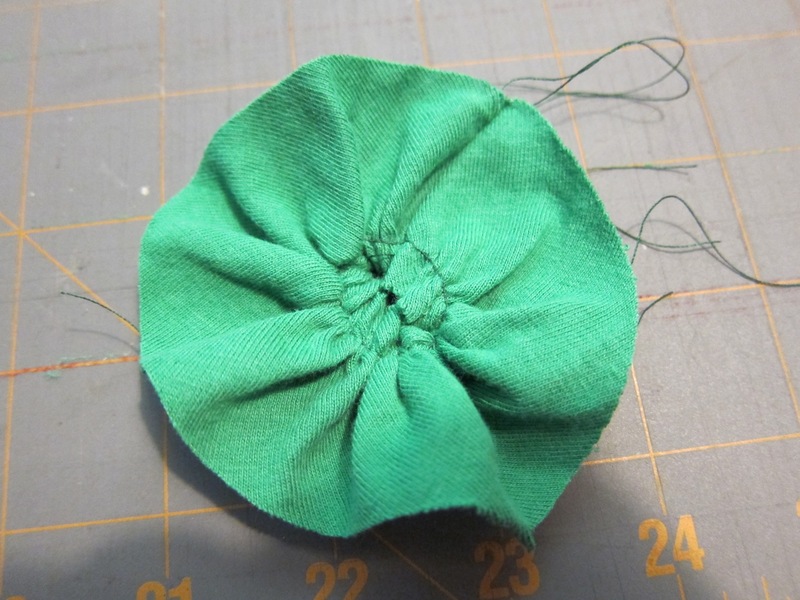 Gather the circumference of the fabric, put the button inside, and pull the thread tight to close. 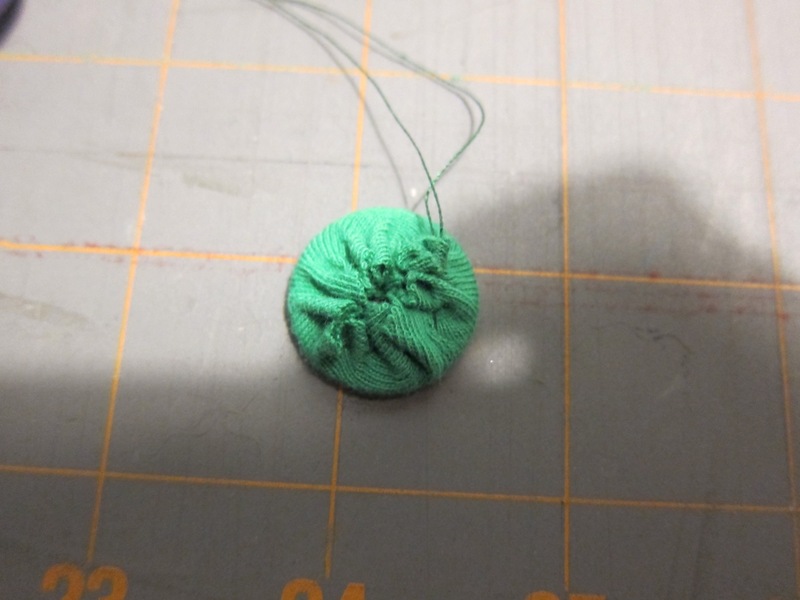 Sew the buttons on top of the flowers. 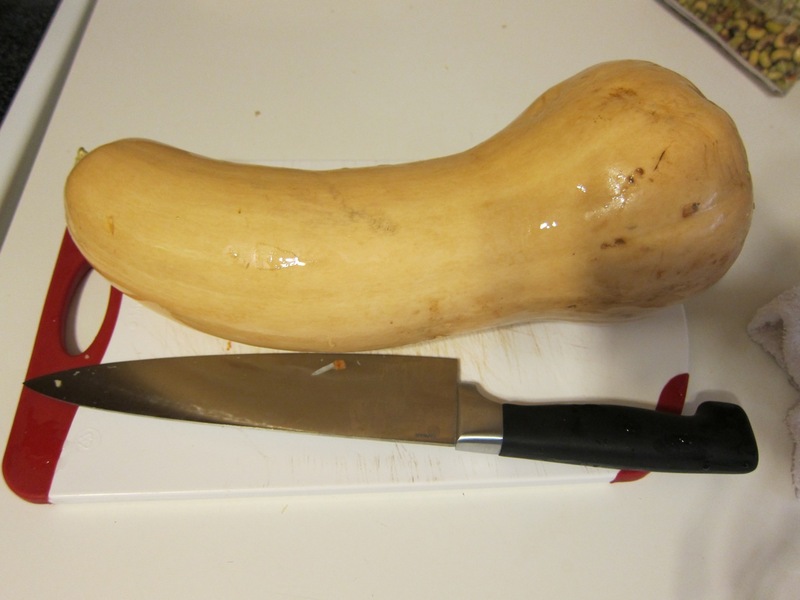 We got a gigantic butternut squash from our Local Box. 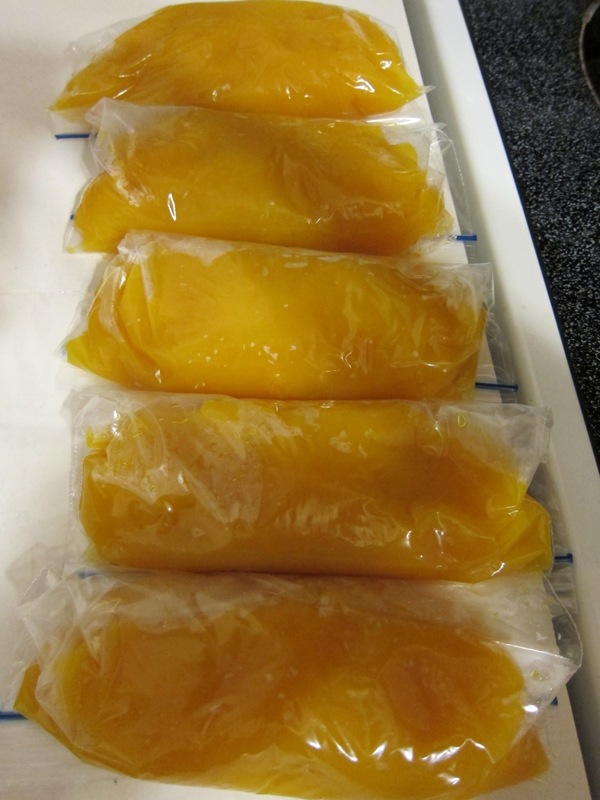 It takes about an hour to cook, so I cooked and froze it in small amounts, making it easy to defrost one or two baggies for a meal. 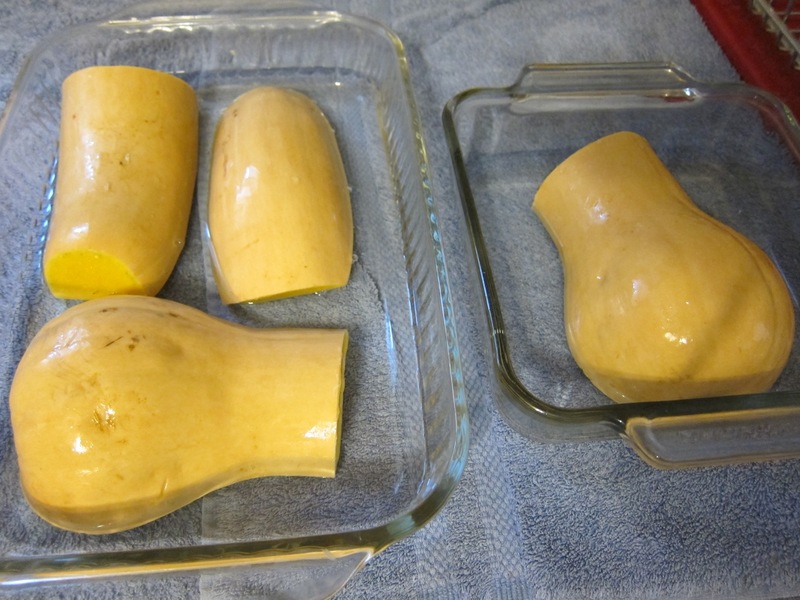 You cut the squash and lay it face down in casserole dish(es) with some water, and then bake covered for about an hour. That’s a 9×13 in. casserole dish on the left and an 8×8 in. dish on the right. When it’s cooked, you scoop out the seeds and then the filling. 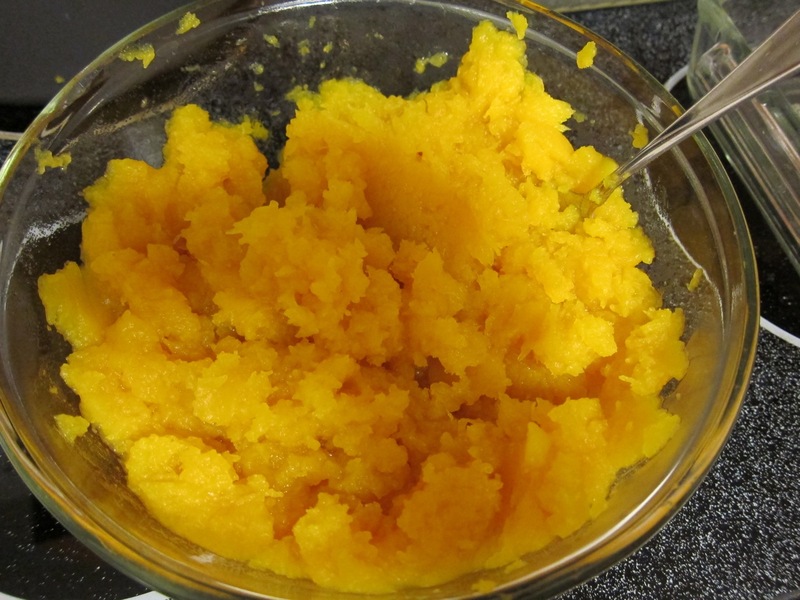 The filling should mash very easily. 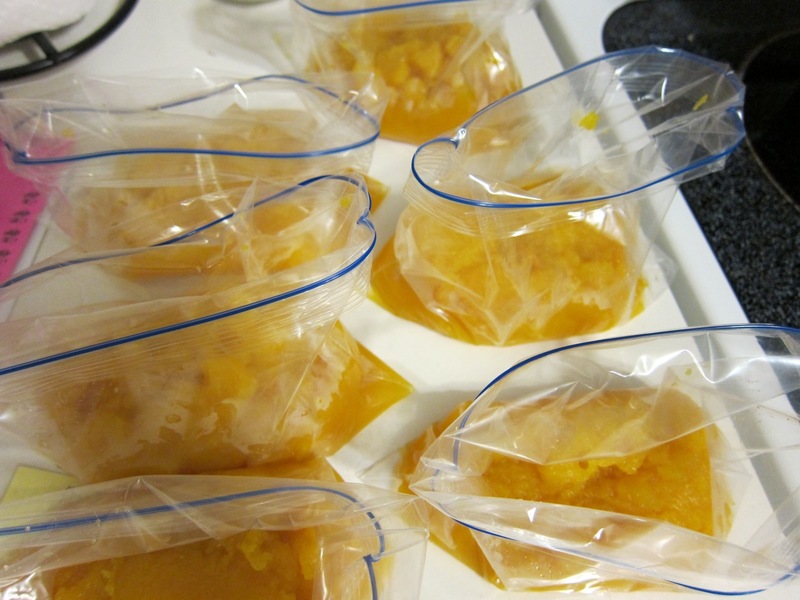 I portioned the squash out into baggies. It will be great for eating as a side dish or mixed into other dishes, such as spaghetti or Hamburger Helper. We had a major drought this past year, with really high summer temperatures as well. 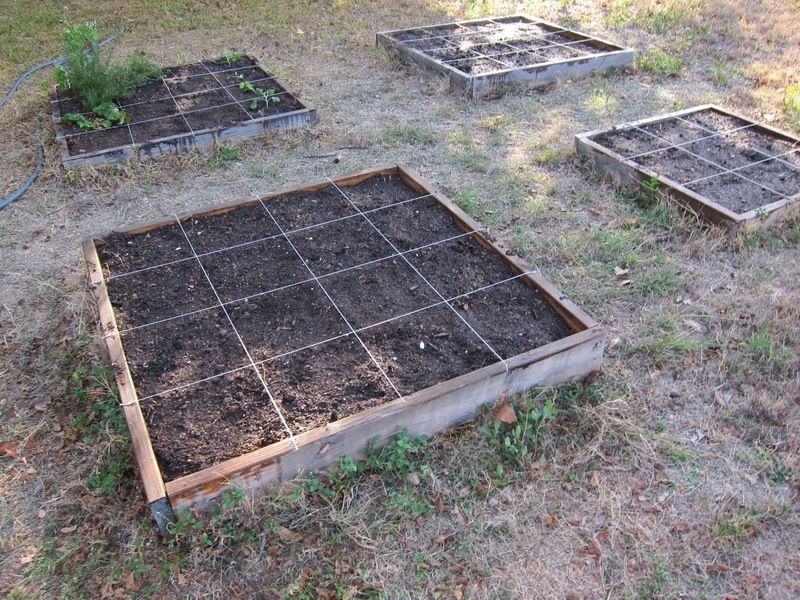 I finally got my fall garden planted this weekend. First, I turned my compost heaps. I have a side-by-side double bin near my kitchen door and another double compost bin near my garden boxes. I was able to get about 10 gallons of compost soil from the bins. 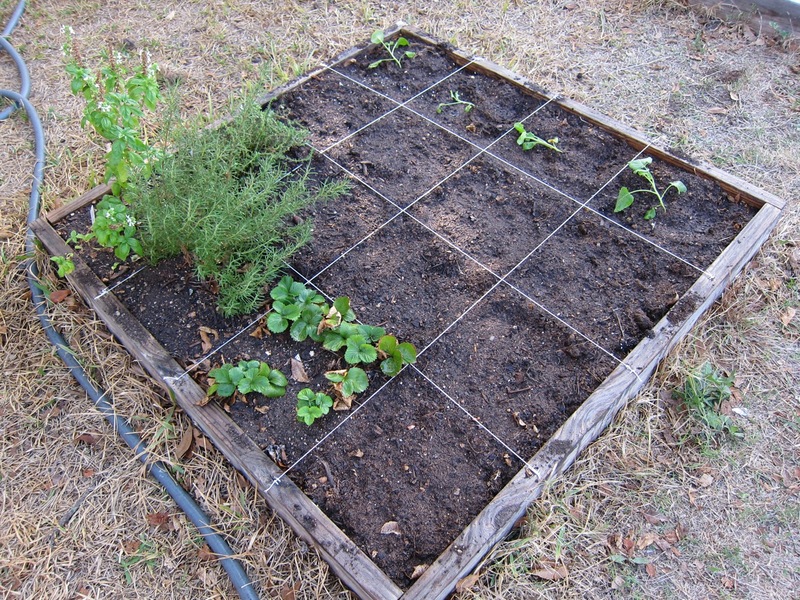 I added it to my garden boxes and turned the soil, and then stapled down new twine to mark off the square feet. We kept basil, oregano, rosemary, thyme, and strawberries alive over the summer, so I planted broccoli, Swiss chard, kale, carrots, spinach, and several types of lettuce. 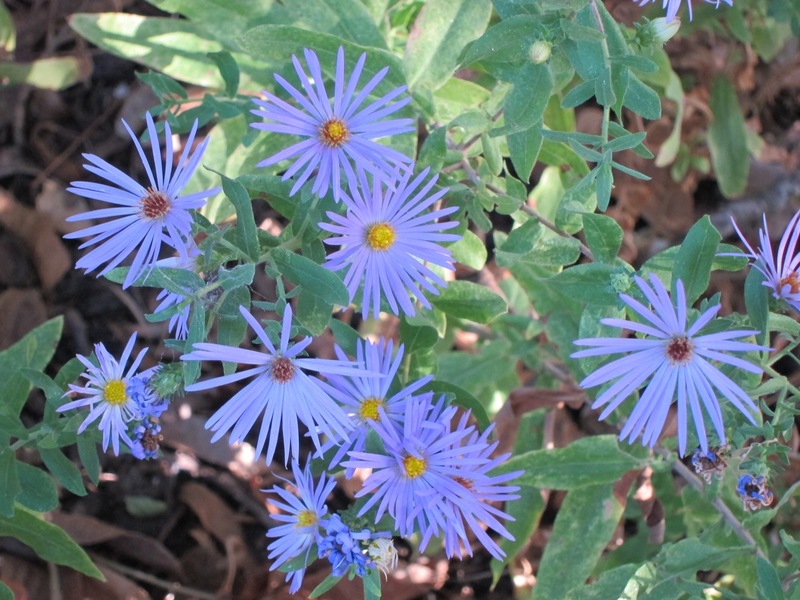 It being so late in the year, I didn’t want to plant things that wouldn’t have a chance with a frost. Plus, with the drought, I wanted to go frugal (in case we lost everything again), so the only thing I purchased was a 4-pack of broccoli seedlings. For everything else, I used seeds that I already had. This picture above shows everything after it was planted. Look at the grass (or lack of it) around the boxes. Due to the drought, we don’t have much grass right now. 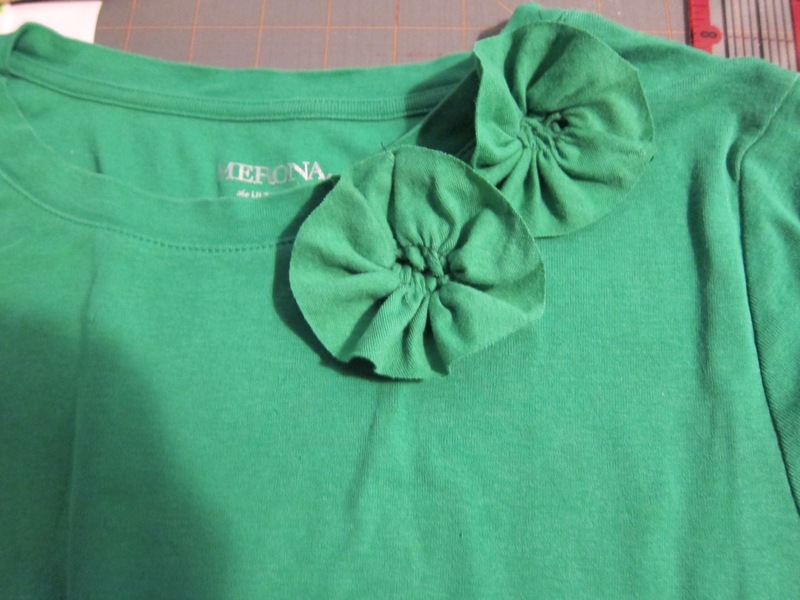 Here are photos of when I made a baby t-shirt vest. The instructions are here at Sam Lamb. 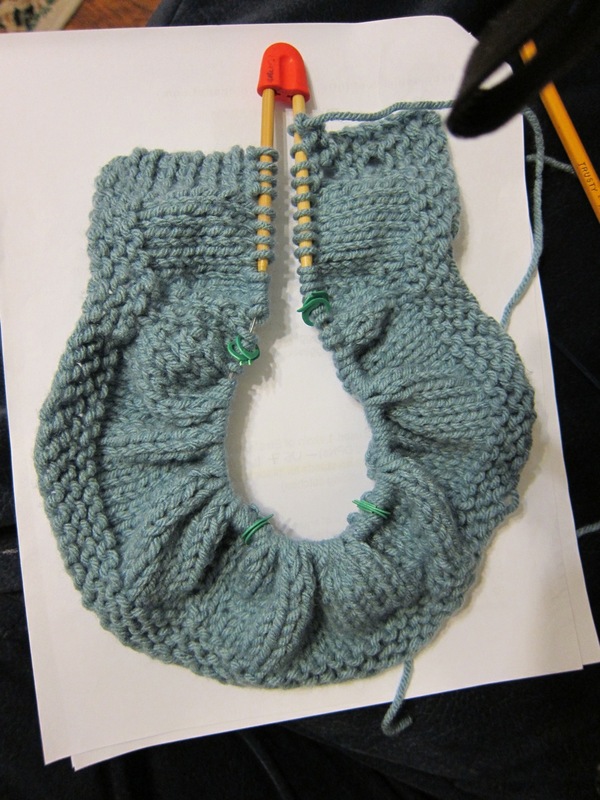 I first found out about this pattern from when A Bakers’ Dozen knitted some beautiful vests using the pattern. 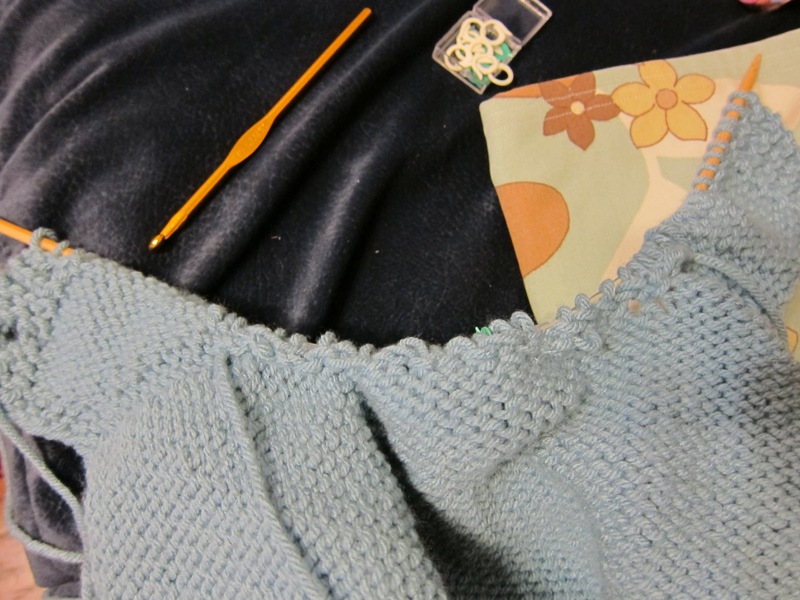 I highly recommend the pattern, but if you are still learning as a knitter, be prepared to look up abbreviations and how to do many stitches and techniques. I spent a lot of time watching how-to videos online, as I had never tried some of the knitting techniques in the pattern. I’m so happy I did, because this makes a fantastic vest. I’ve already started a second one. 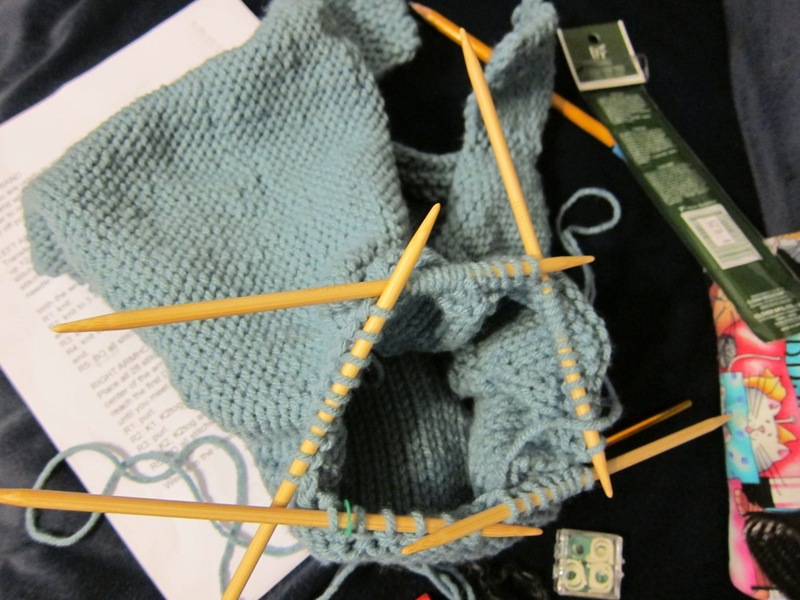 When I first started, I had to start over, because I was knitting in the round before I was supposed to. Then, I started over again (and again…), because I didn’t increase when I was supposed to along the way (etc.). It all turned out well in the end. 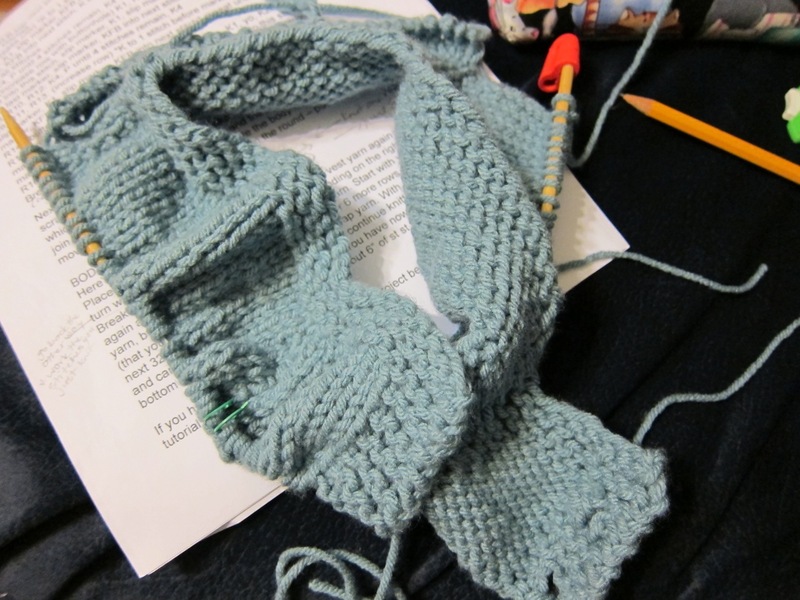 I will say that with the second vest (in progress), I’ve started it over several times as well, due to skipping an increase somewhere (you can’t find the mistake or you mess things up going backwards to look for it). Just know that there are some rows with about 8 increase points per row. 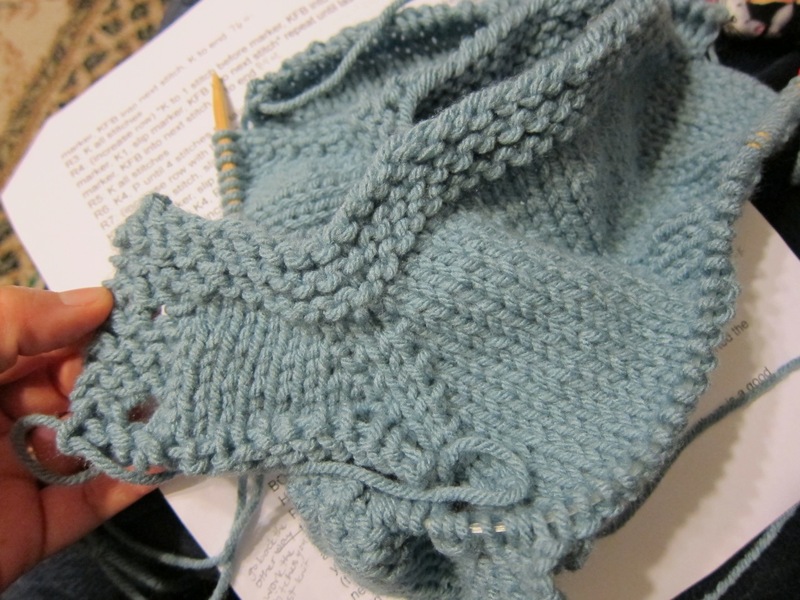 You’re bound to miss one if your concentration is elsewhere or you’re knitting on automatic pilot. 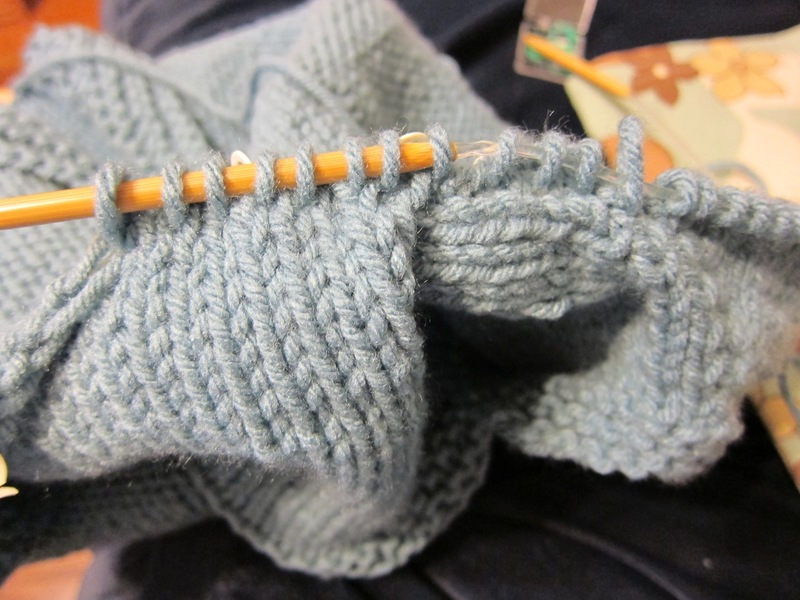 For the blue vest, I used Pound of Love yarn (Weight 4) and US Size 8 needles, since I had both on-hand. The pattern called for DK (double knit) wool, which is about Weight 3, as well as Size 7 needles (which I didn’t have at the time). 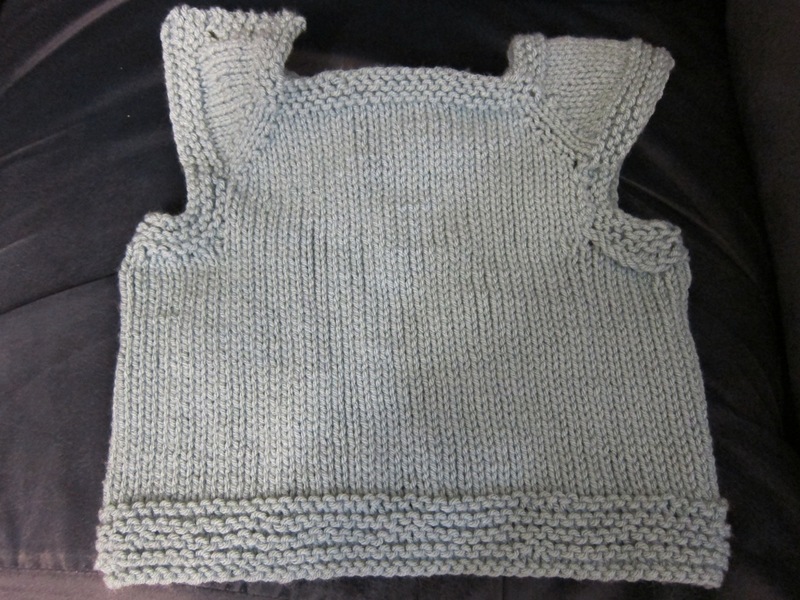 Due to the larger needles and yarn, the first vest came out much bigger than tiny baby size. 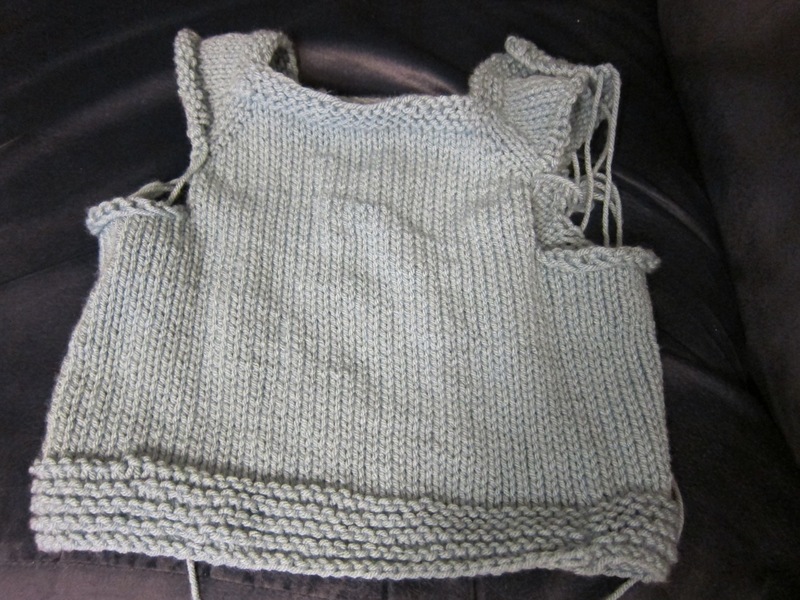 For the second vest, I’m using DK knit yarn and Size 7 needles, so it should fit a young baby when it’s done. 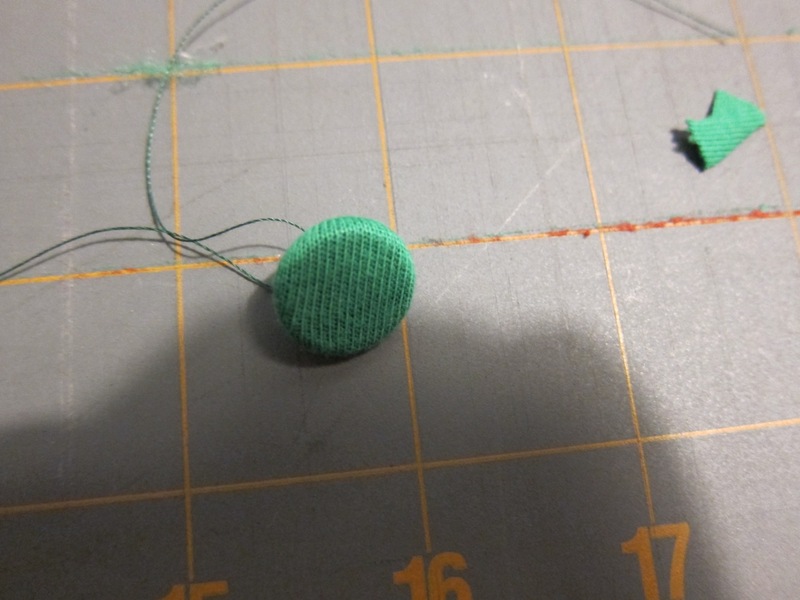 To help out people who are also using this pattern, here are the number of stitches you should have at the end of certain rows (after increasing). 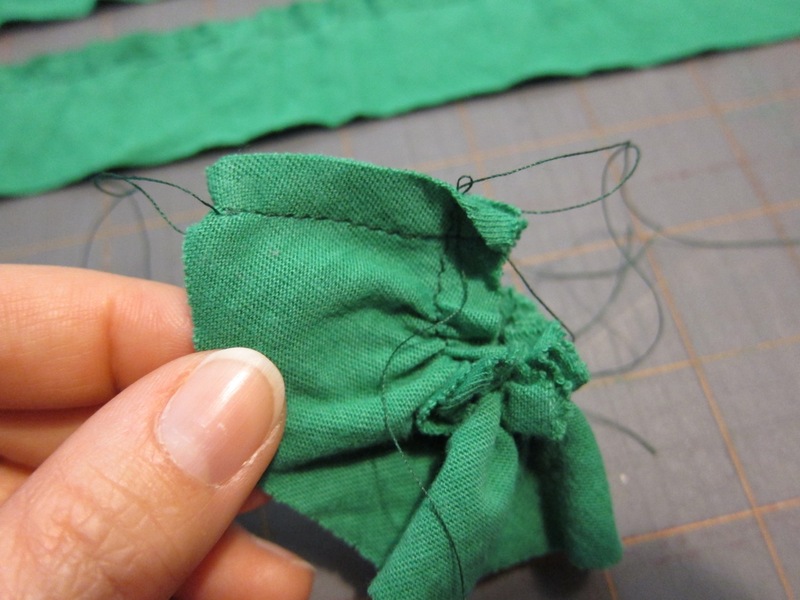 Usually after increasing, the number of stitches goes up by 8, as there are often 8 increase points in one row. 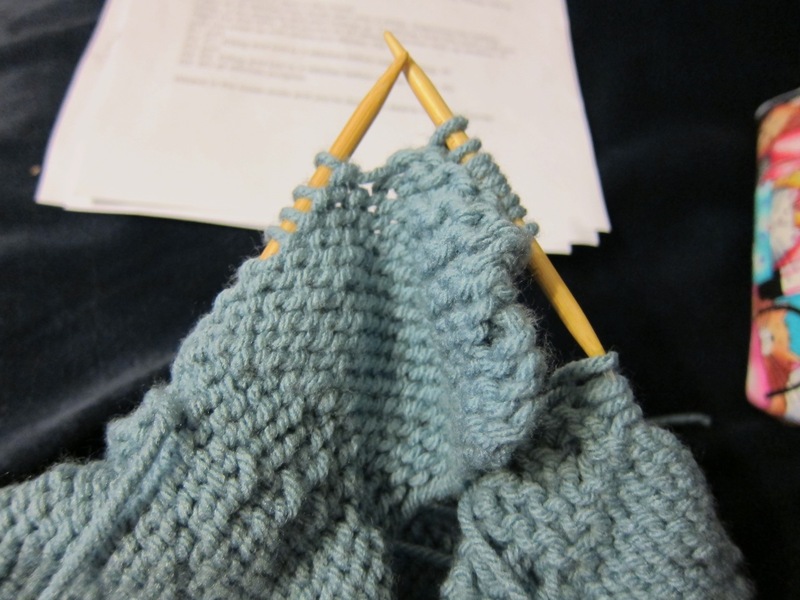 Above: You have to put stitches on extra yarn to use later. 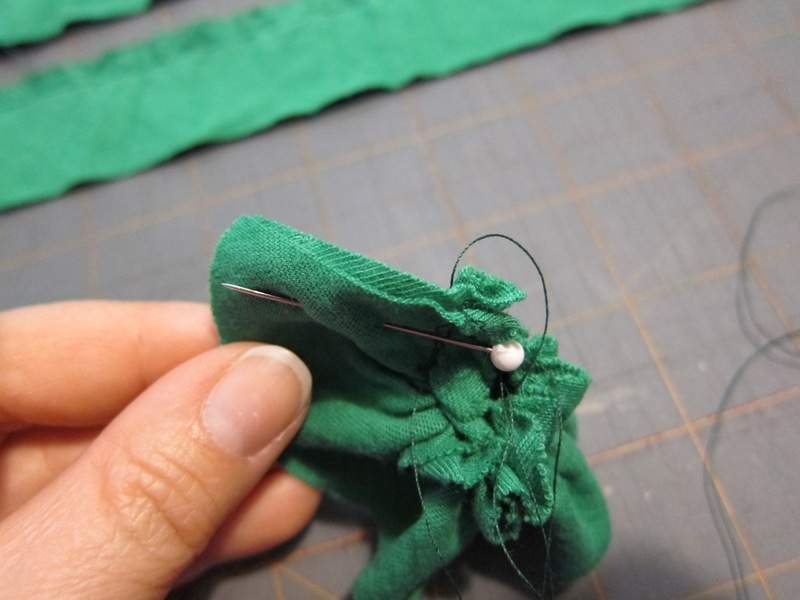 Above: You can see a buttonhole on the left. 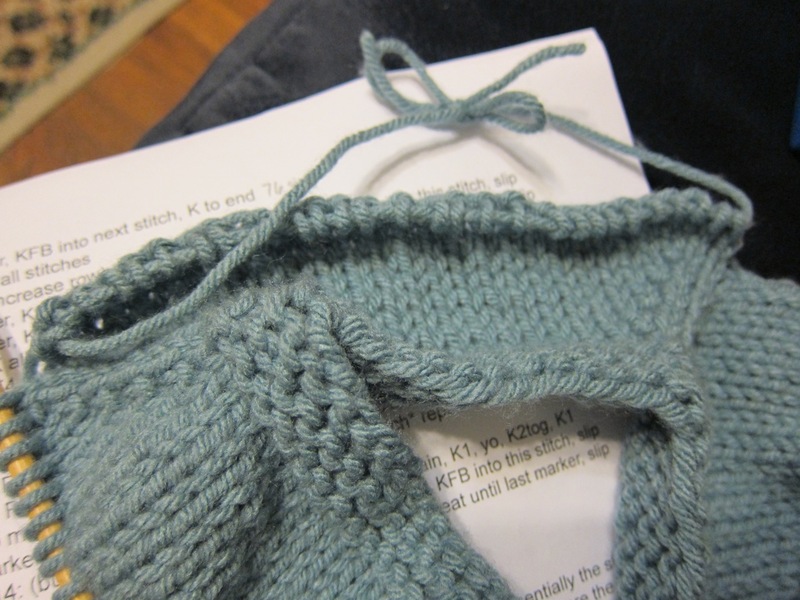 To help pick up stitches at even distances apart, I used stitch markers to divide up the area. 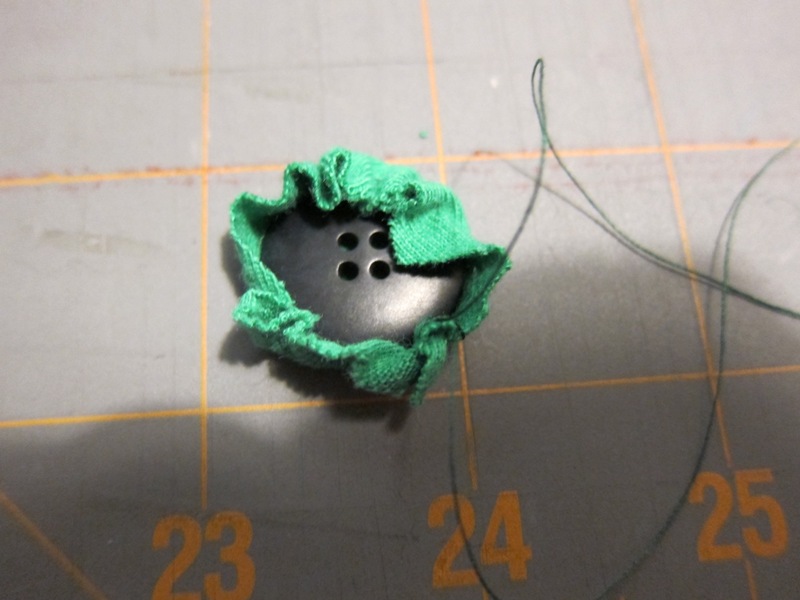 Then, I used a crochet hook to pick up the same number of stitches between each stitch marker. 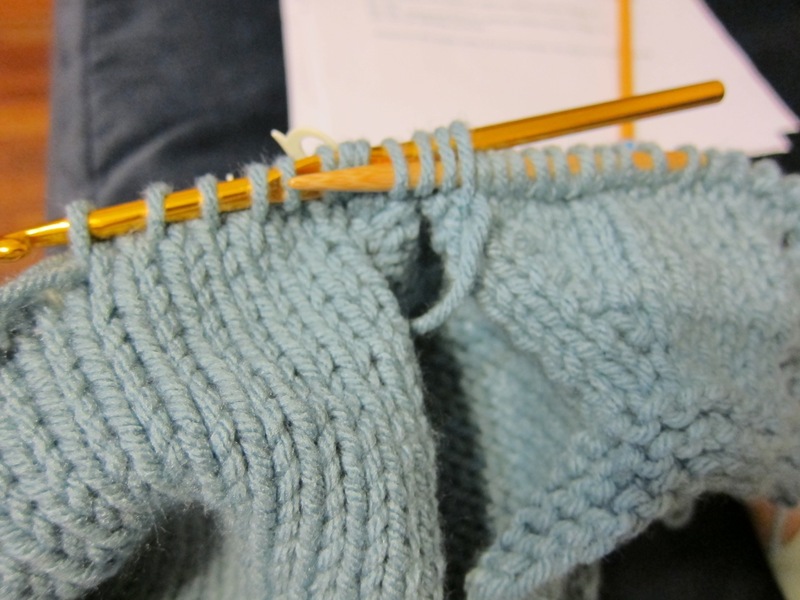 After picking up stitches, I transferred the stitches from the crochet hook to a knitting needle. 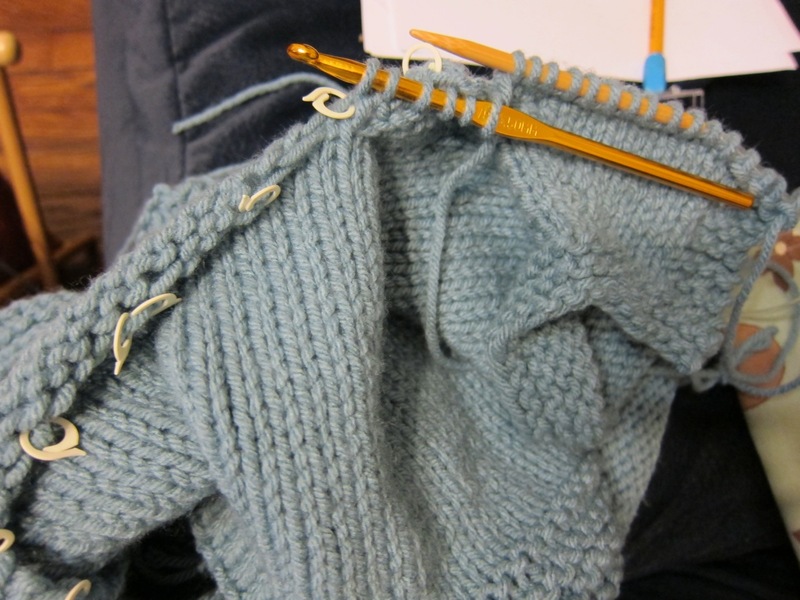 It can take a lot of double-pointed needles when you’re finishing the edge of the closed armhole (no buttons on that side).